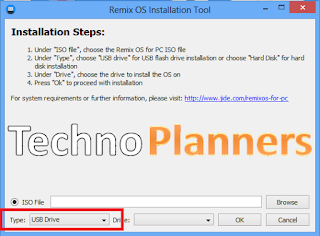 Tutorial - How to Install Official Remix OS for PC Beta version for PC and laptop on [HDD] hard disk with Windows 7, Windows 8 or Windows 10 Dual Boot. For Mac operating system use flash drive installation method because Installer Tool work with Windows and its upcoming for MAC platform. Jide the developer of Remix OS releases their beta version for consumers. In beta version there of lots of major changes likes 32-Bit (x86) Processor Support, Compatible with UEFI machine, You will receive OTA Updates, 50 Major bugs fixed and the most important features is Hard Disk Installer. Now you can install it to hard Disk without using third party software like EASYBCD. Currently, installation tool only supports Windows 7, Windows 8 or Windows 10 operating system with a minimum capacity of 8GB of internal storage. MAC Users, please install on USB flash drive. Download the Remix OS for PC package from end of post. 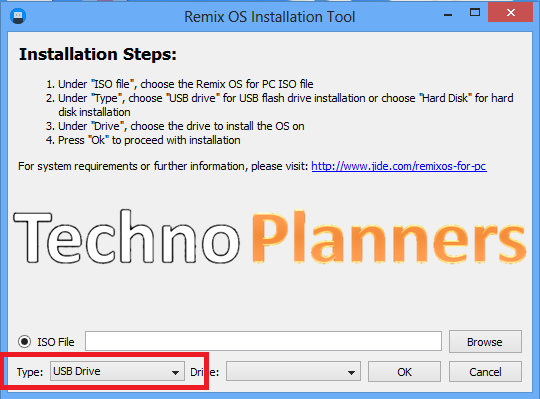 Extract the downloaded package using WinRAR Tool and Open the Remix OS Installation Tool. 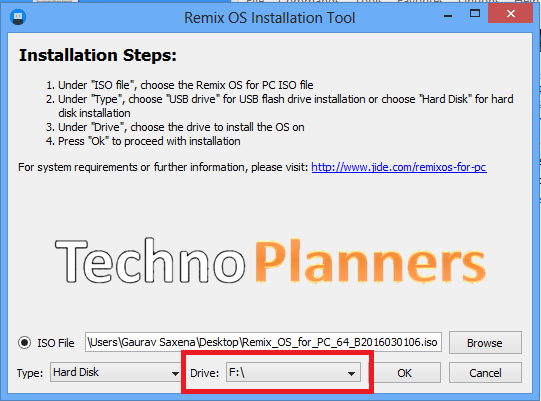 Now Press Browser button to select Remix ISO file from desktop. Now Select Type as Hard Disk. And, Select Drive Partition where you want to Install it. Press Ok Button to start and wait it to finished it. Once it done, Reboot your PC. Press special key (F12 for Dell, F9 for HP, F12 for Lenovo, Option Key for MAC) while booting to enter boot menu and ensure that Secure Boot is disabled. 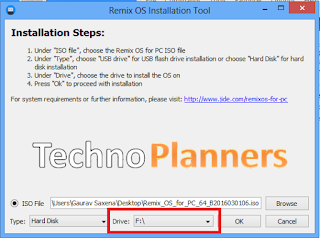 Select Remix OS in Windows Boot Menu. NOTE: for UEFI boot: please ensure that Secure Boot is disabled and A USB 3.0 flash drive, with a minimum capacity of 8GB and a recommended writing speed of 20MB/s. Connect USB flash drive into your PC. 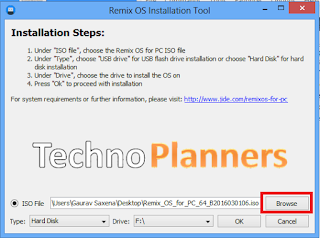 Run the Remix OS Installation Tool from the extracted package. 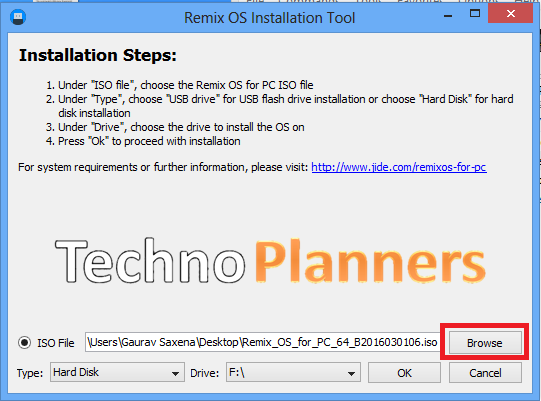 Click on Browser button and select Remix ISO file. Select Type as USB Flash Drive. Press on OK button and wait it to finished it. Press special key (F12 for Dell, F9 for HP, F12 for Lenovo, Option Key for MAC) while booting and enter Boot Menu. Select "USB Storage Device" under boot option. Select either "Guest Mode" or "Resident Mode" to start Remix OS. Congratulations, Now you can enjoy Remix OS for PC Beta version of your Desktop. This is official installation from Jide Share this tutorial with your friends and family. Also check out How to install Google Play Store on Remix OS.